Q: How to inflate bubble balls9 A: The balls are inflated with air by an electric air pump. Q: How to store the ball9 Maintain & Storage: 1. Disinfect and clean the ball regularly. Any damage, please mend it with repair kit (material patches and glue). 4. They are safer than football and much lighter than any other sports equipment. 2. Handle: New style handles which are filled with pearl sponge inside. In the down hole is to deflate the bubbles after playing. Safe &ndash; our designs pass all state and local fire and safety codes. 2.After we receive the down payment, we will produce the goods for you. After we receive the balance amount, we will arrange shipping for you. 2. May I get a sample9 -- Yes, we can provide you with the sample, and we will refund the sample fee when you place your big order. 3. May I have my own logo or design for the products9 -- Yes, we can print your logos on, and we will choose the best printing method for your ball. 4. What about the quality control9 -- As providing the best quality products to our clients is our aim, this step is very important to our business, our QC will check one by one to comfirm every detail of the products is perfect. Premium quality and service recognized by our customers. Trade assurance and low-risk policy to guarantee your trade safety. Excellent after-sale service to make sure of your satisfaction. 4.Advertising inflatables including arches, tents, movie screens, air dancers, models, moving carton, Christmas inflatables, Helium Balloon/Blimp and more. And our product delivered to all over the world and be praised by clients in the past years. Orders are Our Service Contacts Welcome to contact us, we will provide you the best products and service. 1. What included in product9 It includes inflatable games,blower,kit bag(including the same colors material,glue),ground sheet. 2. What about size and color9 The size and color can be changed according to your requirements or according to the size in our webpage or catalogue. 6. What kind of guarantee you serve9 Our inflatable games can be used more than 3 years . 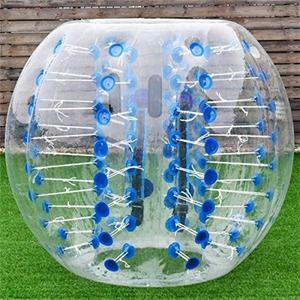 Bumper balls are suitable for both children and adult playing together! They can wear it comfortably and bump to each other or play football together. 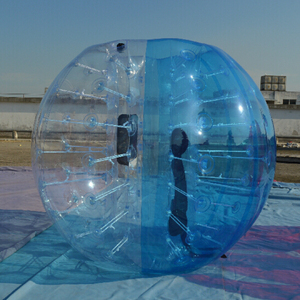 The Bumper Ball is a good choice for amusement activity. 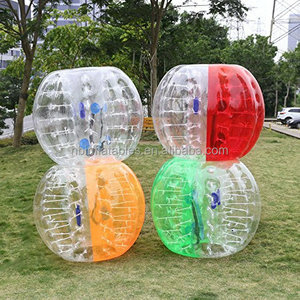 Alibaba.com offers 9,677 bumper ball products. About 79% of these are toy balls, 3% are inflatable bouncer, and 1% are football & soccer. A wide variety of bumper ball options are available to you, such as zorb ball, skip ball, and juggling ball. You can also choose from plastic, pu, and rubber. As well as from sports toy, inflatable toy, and soft toy. And whether bumper ball is ps, or abs. 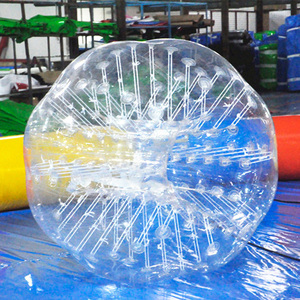 There are 9,677 bumper ball suppliers, mainly located in Asia. 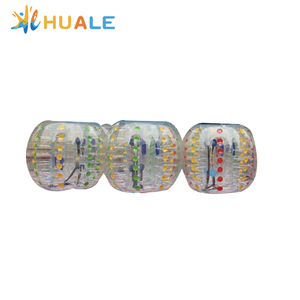 The top supplying country is China (Mainland), which supply 100% of bumper ball respectively. 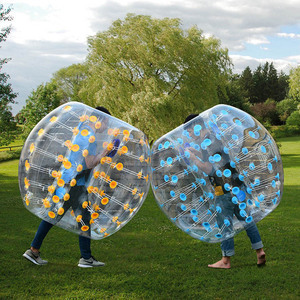 Bumper ball products are most popular in North America, Western Europe, and Northern Europe. You can ensure product safety by selecting from certified suppliers, including 686 with Other, 442 with ISO9001, and 58 with BSCI certification.